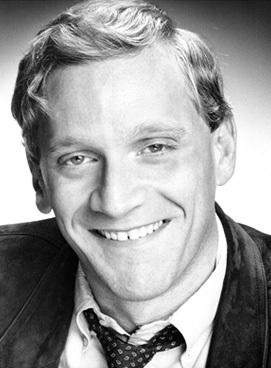 In “Ever a Surprise”, Geva Journal celebrates the life and career of Little Shop of Horrors’ book writer, lyricist, and original director: Howard Ashman (1950-1991). This post concludes the series: Part One and Part Two are online now. Special thanks to Howard’s sister Sarah Ashman-Gillespie for answering our questions. 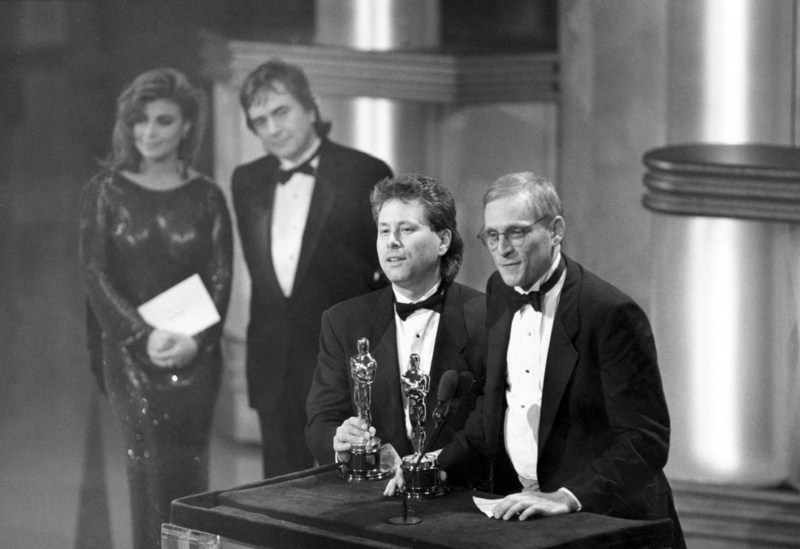 Please visit HowardAshman.com for much more on Howard and his works, and for many more memories from Sarah. Little Shop of Horrors runs from January 13th to February 15th on Geva’s Wilson Mainstage. In 1986, Howard was invited to work at Walt Disney Pictures. After the painful failure of his musical Smile, he embraced the chance to try something totally new. He was given surprisingly wide berth in choosing his projects, and immediately asked to be involved with animation. The animation division had been in a financial and artistic freefall since before Walt Disney’s death in 1966; it was practically on life support. The remaining artists had been kicked off the Disney lot and moved to a building in Glendale two years before. Howard didn’t care. Not only would animation be a perfect fit for his large imagination, he believed that the form was intrinsically linked to musical theatre. Because an animated film is very heightened and stylized by nature, he argued, it was the perfect medium for having characters break out into song. Howard gave lectures to the animators on how, as forms, the Broadway musical and the animated feature had developed parallel to each other. Howard pitched a treatment based upon Aladdin, the role he had played as a teenager in Baltimore, but it was rejected. One of the films in development was The Little Mermaid, an attempt to return Disney animation to its fairytale roots and recapture some of the old magic. Howard met with the film’s directors, John Musker and Ron Clements. He joined the project, and brought Alan Menken on to write the music and underscoring. 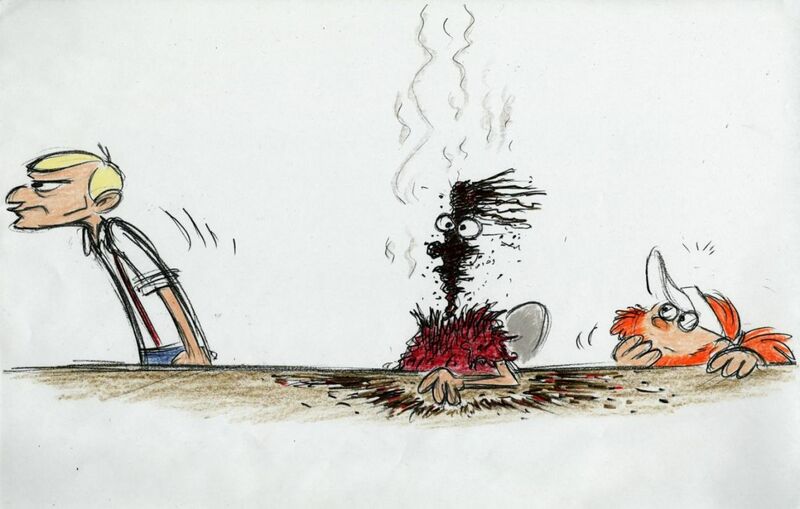 A caricature by Disney director Kirk Wise shows Howard’s temper at a story meeting. 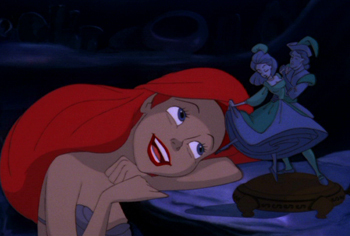 The first completed song was Ariel’s “I want” ballad, “Part of Your World.” The directors had asked for a love paean about the prince, but Howard (always so attuned to what really drove his characters) felt that it would be a stronger choice for Ariel to be fascinated with the world above; to desperately want to explore. In his Greenwich Village apartment, he sang the completed song for the directors. 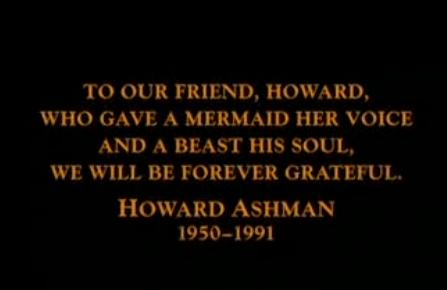 “Howard became Ariel before our eyes and ears,” John Musker later wrote, “singing fervently with unabashed sincerity. Traffic whizzed by below us out on that cold December night as he poured out his heart in song. He looked up to the ceiling of his apartment as he sang, and it became the out-of-reach human world. He made us see it, too, and feel it, this far-off place of wonder that so entranced this little mermaid.” Jodi Benson, of Howard’s Smile, was cast as Ariel’s voice, and some rather remarkable video survives of Howard coaching her through the song’s emotional landscape. Studio chairman Jeffrey Katzenberg, often a figure of great controversy for the Disney artists, thought that “Part of Your World” would bore children and demanded that it be cut. Howard, having already tasted bitter compromise on the Little Shop of Horrors movie, stood with the directors and Ariel’s lead animator, Glen Keane. The artists resisted, to put it mildly: Katzenberg recalls Howard threatening, “Over my dead body” and “I’ll strangle you.” The song stayed. At an Oscars after-party, Howard took his longtime creative partner aside. “When we get back to New York,” he said to Alan, “we have to talk. Not tonight.” He also made a rare concession: “I want you to know that I’m very happy.” For a long while, Howard had been looking gaunt and tired. When it came time for the conversation, he began with a curt “I guess you know.” But Alan didn’t know. By that time, Alan had seen a litany of actors, dancers, writers, and directors claimed by AIDS. But the disease couldn’t possibly reach someone as totally in-control as Howard. “Those of us who knew and loved Howard said to ourselves ‘But, please, not Howard,’” Alan later wrote. “And he would reassure us all that he was fine. His weight loss was due to colitis or a hernia. And we all happily believed him.” That day, Howard came forth with the truth: “He told me about being sick—HIV positive; a death sentence.” Until that moment, Howard’s diagnosis was a secret known only to his family and life partner. He was frightened that he wouldn’t be allowed to work if people found out. Even worse, he worried that his friends would not want to socialize with him anymore; that they would keep their children away from him. There was still a great deal of misinformation and rumor about AIDS in 1990. Ashman and Menken were already hard at work on the next Disney project, Beauty and the Beast. Completing the film was now an unspoken race against time. For Alan, keeping Howard’s secret “was like holding the atomic bomb in your brain.” This score was even more ambitious than Mermaid—and far more like a classic stage musical. 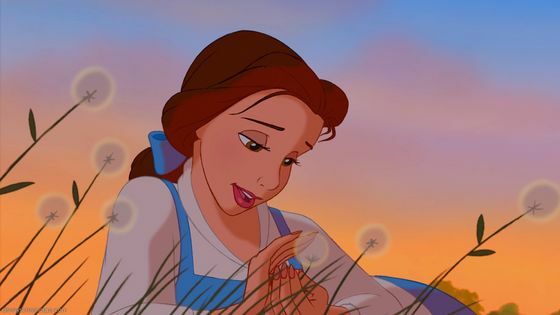 It opened with a long, expository song (“Belle”) that wove in and out of dialogue, introducing the world of the movie and many of its principal characters. There were many overlapping singing parts. It was absolutely unheard of in animation. Howard and Alan were so worried that the directors would shoot the sequence down that they insisted on playing it in person. It is difficult to read this lyric without thinking of how Howard’s own body was failing him while he wrote it. As he got sicker, he could no longer travel from New York to Disney Feature Animation in California. He needed the film’s team to come to him. Some initially assumed that this was an arrogant display of importance, but Howard’s illness quickly became apparent. He finally shared his diagnosis with the film’s crew, and was totally unprepared for their outpouring of empathy and support. He lost more weight. He kept working. His eyesight began to fail, and Disney hired a personal reader. He kept working. “Human Again” wasn’t sitting right in the larger story; it would have to be replaced with an entirely new song. He kept working. The new song, “Something There,” would be the last written for the film. Howard listened to the recording session on a phone patch from his bed in St. Vincent’s, a gay-friendly hospital. He could no longer walk and he could barely speak, but the set-up allowed him to give a few concise notes to Alan on the other end. There needed to be an exaggerated, bemused emphasis from voice actress Paige O’Hara on the line, “New, and a bit aLARming.” Howard whispered into the phone, speaking in the ribbing shorthand that he had developed with Alan over so many projects: “Tell Paige…Streisand!” The note was relayed and incorporated. His work on Beauty and the Beast was done. Before he died, Howard was able to show Sarah much of Beauty and the Beast in pencil test form, taking special delight in the scene where the Beast gifts Belle his enormous library; he was proud of his bookworm heroine. Beauty’s central symbol is an enchanted rose that slowly wilts throughout the movie. If the Beast cannot learn to love another by the time the last petal falls, and earn their love in return, he will remain a monster for all time. On his last Christmas, Howard gave his sister a rose made of silver and vermeil. “Do you know why I wanted you to have this?” he asked. Sarah felt maudlin saying it, but she finally responded, “Because it will live forever. It will never die.” He never said if she was right or wrong. But next Christmas, the image of the Beast’s rose was inescapable. I’ll do my best, what else can I do? This was one of Howard’s most deeply personal lyrics, which made its excision especially painful for the still-grieving Alan Menken. Howard’s unconventional ideas were also dropped: in his story treatment, the princess was a grating brat and the real love interest turned out to be a tough tomboy. Ultimately, three of Howard’s songs were used. The first was an opening number called “Arabian Nights.” The other two were written for the Genie of the Lamp, a character that Howard had envisioned as a Cab Calloway type. 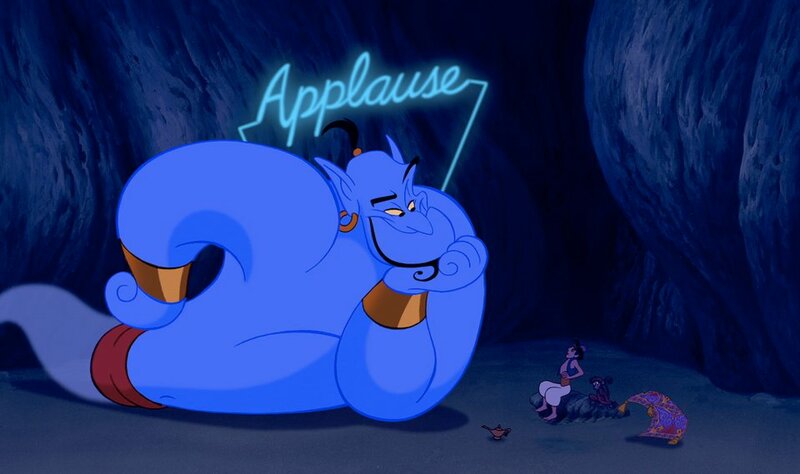 “Friend Like Me” and “Prince Ali,” famously delivered by Robin Williams in the final film, feature some of Howard’s funniest and most nimble lyrics. To round out the score, Alan teamed up with Tim Rice, a frequent Andrew Lloyd Webber collaborator. 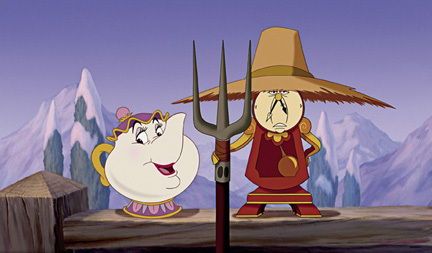 In her review of Aladdin, Janet Maslin aptly remarked that Rice’s lyrics were “so much more conventional than Mr. Ashman’s that the difference is instantly apparent.” The film’s kinetic humor, gorgeous Al Hirschfeld-inspired animation, and memorable music made it another well-earned Disney smash. Still, critics noticed that the romantic leads were practically stock types compared to Beauty and the Beast‘s rich leading characters. Howard’s absence was already felt. “Friend Like Me” would garner one final Academy Award nomination in his name. Like its two predecessors, the film had incredible longevity at the box office and left its audience eager for more. Disney Animation had re-established itself as a producer of films that anyone in a general audience could enjoy. In an LA Times op-ed railing against the notion that children should be aware of gay relationships, a mother bemoaned the lack of more family-friendly films like Aladdin. “Perhaps if it were not for homophobes,” a published letter shot back, “we would have a cure for AIDS already and Ashman would be alive today to write more Aladdins and Beauty and the Beasts for children to enjoy.” Of course Howard’s work at Disney was never explicitly queer, but there was always a clear message that people (as well as beasts and mermaids) deserve to be treated with compassion, no matter how “other” they may seem. It is impossible to imagine what further contributions Howard Ashman might have made to theatre and film. His unique style and sensibility have never replicated. What did Howard have that was so unique? The body of work that he left behind reveals a studious sense of craft married to a sense of total irreverence. His best songs fall somewhere in the middle of a Venn diagram labeled “smart,” “funny,” “specific,” and “sincere.” Few lyricists manage to be more than one of those things at a time. Because Howard’s words are so accessible and entertaining, it’s easy to overlook the sorrowful yearning at the heart of many of them. Audrey never did get to live in her little green suburb; Doria never did get to live in Disneyland. Even in the Disney films, the lyrics almost ache with empathy for trapped souls who want something more “in the great wide somewhere.” How would anyone survive, these songs seem to ask, without the sweet foolishness of wishing for something greater? For Howard’s characters, meeting the expectations of others rarely looks like a path to happiness. In fact, if there is one truly consistent theme threaded through all of his work, it is the dissonance between public acceptance and real fulfillment. Perhaps it’s almost fitting, then, that Howard was only really celebrated on Broadway posthumously. In 2003, Little Shop of Horrors was finally given a main stem production. 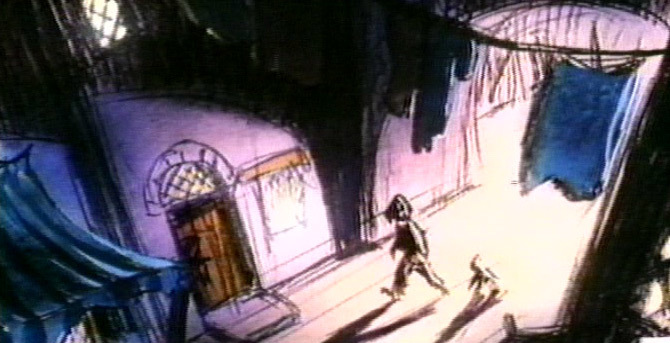 Martin P. Robinson returned to design and puppeteer an augmented set of Audrey Twos. In this version, the plant could stretch its massive trap far over the audience of the Virginia Theatre during the show’s finale. All three of Howard’s animated efforts have made the leap to the Broadway stage, padded out with additional songs by other lyricists. Most notably, Beauty and the Beast launched Disney’s empire of family musicals in 1994 and ran for over thirteen years. The still-popular show might have run even longer if Disney had not decided to move it out of the Lunt-Fontanne Theatre (where Smile briefly played) so that The Little Mermaid could swim in for a 2008 opening. This flat and gaudy production of Mermaid, which the New York Times’ Ben Brantley accused of swallowing “even the melodious wit of the original score,” did not fare nearly so well. Aladdin opened last March at the New Amsterdam Theater and is currently playing to sold-out houses. In expanding the score, Alan Menken made use of several Ashman collaborations that were left out of the original film–including “Proud of Your Boy.” The final production would still lack Howard’s witty precision, but the songs were finally heard. And so, twenty-three years after his passing, Howard received a brand-new Tony Award nomination in 2014: an incredible symbol of longevity. In a terribly brief career, Howard helped to breathe life into a series of musicals that audiences still want to revisit time and again. He tickled and moved adults with his craft. More importantly, his lyrics encouraged the children of my generation to approach the world before us with humor, intelligence, and compassion for others. His carefully chosen words taught us to accept the peculiarities of our own hearts without shame or compromise. All of this, just because he told us stories, and because he made us laugh, and because he made us feel empathy with people and creatures that could never exist. There were only a few shows. There were only a few movies. But through his work, Howard Ashman demonstrated that big and beautiful words could appeal to a wide audience without a note of condescension. Those words reached around the world, and they planted something there that wasn’t there before. ThanIs for a really interesting series. I’ve often wondered about Howard Ashman. So sad he left us too early. I haves loved his lyrics since I first heard Ariel sing Part of Your World. What a legacy he left. So glad you like it, Celia! The post was written by Dan Jones, who was on a fellowship with Geva at the time. He blogs at https://danjonesreviews.wordpress.com/, should you want to read more of his stuff!